Working as a independent real estate agent for Engel & Völkers is an excellent opportunity to grow in your professional career. In fact, you will have access to an exclusive portfolio of clients this way and you can make profits. This is because our real estate agency's business is growing at a dizzying pace throughout Spain. Here we are going to tell you everything you need to know on how to succeed with us. What do you need in order to work as an independent real estate agent for Engel & Völkers? 1. Knowledge. An independent real estate consultant must know everything related to the process of buying and selling real estate in order to be able to provide clients with constructive advice. In addition, it is essential that you know about the local property market's situation, which is why we will be providing you with ongoing training. 2. People skills. To demonstrate your people skills, you must know how to treat high-standing customers, who trust us to help them buy a home or sell their property on a daily basis. 3. Flexibility. Working as a freelance consultant for Engel & Völkers requires being willing to travel anywhere in the world. 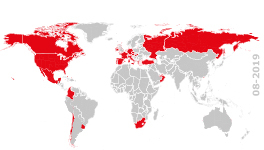 Keep in mind that we currently operate in more than 30 countries and have formed a global network of contacts. The prospects as an independent real estate consultant for our company are unbeatable. During the last 5 years, we have experienced a strong expansion in the luxury property market in Spain thanks to the sector's recovery from the crisis. In fact, according to our forecasts, we are absolutely certain that the trend will continue, which will translate into endless business opportunities. This is definitely a positive prospect for you just as it is for us. Working as an independent real estate agent requires knowing how to manage your time properly in order to get the most out of it. Identifying your priorities and goals should be your first task to achieve success and obtain the highest possible salary. To do this, there is nothing better than using the help of new technologies and managing everything through the Internet. What's more, being a freelancer does not mean working on your own. We will need to help you with collaborative tools that allow you to maintain constant contact on certain projects with others who are in the same position as you. There are many mobile and computer applications that will make your life easier. Finally, you should be willing to organise your work schedule on a day to day basis and avoid distractions as you go along. Only then will you be able to work efficiently. If you have read this article and you are sure that you want to become a real estate consultant for Engel & Völkers, we urge you to send us your personal and contact information. We are confident that we will be able to establish and maintain a relationship that will be very beneficial to us both.